On January 28, the United States Senate passed a bill that ushers a new age of American subservience to Israel. Inaptly entitled “S. 1 — Strengthening America’s Security in the Middle East Act of 2019”, the bill purposely conflates US and Israeli interests in the region. Title IV, “Combating BDS Act of 2019” — in reference to the Palestinian Boycott, Divestment and Sanctions (BDS) movement — can be considered complete American capitulation to the Israeli agenda. If S. 1 passes the next stages in the House and becomes law, it would then be officially illegal at a federal level to boycott Israel on account of its colonisation and military occupation of Palestine. The American government is effectively trying to shut down a major platform for non-violent popular resistance available to Palestinians and their supporters across the US and, in fact, internationally, who would like to see an end to Israeli violence and the constant violations of international law. The reality is that the federal government is only bent on implementing laws that 26 states have already enacted, targeting the BDS movement. It is particularly telling that the first bill to be passed by the Senate after the end of the government shutdown is one that caters to Israel’s interests. One would think that in the age of American political instability and prolonged crisis, US legislators should, at least for now, prioritise the interests of their own country over that of Israel. True, Israeli interests have topped the US agenda for many years, thanks to the relentless efforts of Israel’s influential lobby groups in the country, however, never before did ordinary Americans find themselves a direct target in the political agenda of the far-right government of Israeli Prime Minister Benjamin Netanyahu. Even the mere rejection of this Israeli agenda is being shunned, often labelled ‘anti-Semitic’ by Israel and its supporters. 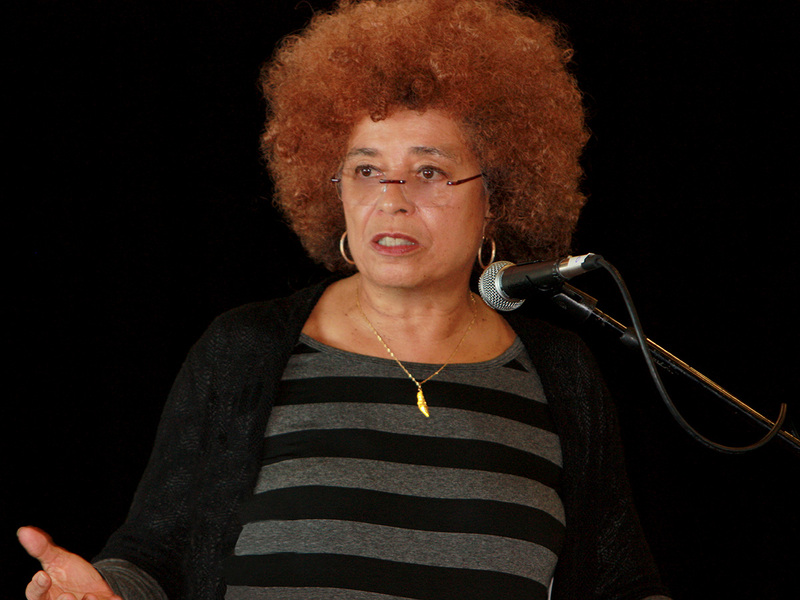 Iconic US civil rights activist Angela Davis, 74, deservingly celebrated for her contribution to American society for decades, was denied an award by the Birmingham Civil Rights Institute because of her advocacy of Palestinian rights and support of BDS. The award has since been reinstated, which is an important reminder of the growing support for Palestine as well. However, this fact shall only accelerate the now joint Israeli-American witch-hunt, targeting activists, intellectuals, businesses, university campuses, churches and so on. The direct involvement of the Congress in the Israeli war on BDS must certainly be welcome news in Tel Aviv where efforts in recent years have proven useless. In fact, the more Israel seems to target BDS, the greater the movement’s impact grows. It is no secret that the US government is merely following the instructions of the primary Israel lobby group in Washington, the American Israel Public Affairs Committee (Aipac). Aipac has, for decades, served as the gatekeeper of US foreign policy in the Middle East, bestowing their support on those who agree to Israel’s terms, and targeting those who defy the lobby’s agenda. It should be no surprise that the build-up to S. 1 started at an Aipac office in Washington. Two years ago, Aipac declared in its “2017 Lobbying Agenda” that criminalising the boycott of Israel is a top priority. Cities and states across the country heeded that sinister call, and now the US government itself is following suit. Anti-Palestinian measures in the US are nothing new. In fact, ardent support for Israel and the complete disregard for Palestinians is the only aspect which Democrats and Republicans have in common. It will remain to be seen if the inclusion of progressive and Muslim women in this current House line-up will change, or at least challenge, that reality. For now, the sad truth is that the very individuals who were meant to guard the Constitution are the ones openly violating it. The First Amendment to the US Constitution has been the pillar in defence of the people’s right to free speech, freedom of the press, “the right of the people peaceably to assemble, and to petition the Government for a redress of grievances”. This right has, however, often been curtailed when it applies to Israel. The Centre for Constitutional Rights refers to this fact as “The Palestine Exception”. But none of this will succeed because simply put, noble ideas cannot be defeated. For true champions of human rights, regardless of their race, religion or nationality, this is their moment as no meaningful change ever occurs without people being united in struggle and sacrifice.